Irvine, CA — August 29, 2018 — The new tax law and improved economies of scale and scope are among the trends driving a robust Buy/Sell market in Q2, after a slow start to the year, according to The Blue Sky Report’s® Second Quarter Report released by Kerrigan Advisors. Seventy-five transactions were completed in Q2, a 92% increase over Q1. With consolidators and publicly-traded auto retailers seeing increased earnings as a result of these factors, profitability at dealerships holding steady, and dealerships embracing innovative, profit-driving business models, Kerrigan Advisors predicts that 2018 will mark the fifth consecutive year to see over 200 transactions. “Consolidators are finding new ways to grow earnings by employing technology and streamlining their business models, changing their selling systems and introducing new products across their platforms, while the ‘to-be-consolidated’ are squeezing more profit out of their existing business models. And both are being positively impacted by reduced taxes as a result of tax reform,” added Ryan Kerrigan, managing director of Kerrigan Advisors. The Kerrigans, however, did note that while blue sky values remained high in Q2, they were below 2017 levels, partly as a result of rising interest rates and floor plan cost increases. But, despite a plateauing SAAR, The Kerrigan Index™, which tracks publicly-traded auto retail companies, continues to rise—indicating that Wall Street believes that scale matters and that anticipated disruptions to auto retail will disproportionately benefit the largest dealership groups. “There is little doubt that size will be a key driver for future success in auto retail,” added Ryan Kerrigan. The Blue Sky Report, published by Kerrigan Advisors, is the auto industry’s most comprehensive and authoritative quarterly report on dealership M&A activity, as well as franchise values. It includes analysis of all transaction activity for the quarter, and lays out the high, average and low blue sky multiples for each franchise in luxury and non-luxury segments. 114 dealership buy/sell transactions were completed in the first half of 2018, compares to 101 transactions in the first half of 2017. The number of franchises sold rose 22% over the first half of 2017. The number of multi-dealership transactions increased to 33 during the first half of 2018, versus 23 in the first half of 2017. Domestics maintained their leading position, followed by import non-luxury franchises and import luxury franchises. The publics are tracking towards nearly $1 billion of US acquisition spending in 2018, a level that would surpass all prior years, except 2014 when Lithia Motors acquired DCH Auto Group. Private dealership groups continue to represent the largest share of dealership acquirers. Only 22 of the estimated 192 franchises that changed hands in the first half of the year, were acquired by public companies. Dealership rents rose as compared to 2017, creating concern: the average dealer now has a rent to gross profit of 11.2%, a 3.7% rise over the 2017 ratio. In addition to expense reduction and a focus on geographic concentration, the report emphasizes the importance of successful and innovative business models to increased valuations, citing the recent sale of Wilsonville Toyota and Wilsonville Subaru, both of which effectively utilized a no-negotiation sales model, resulting in profitability far higher than industry standards. 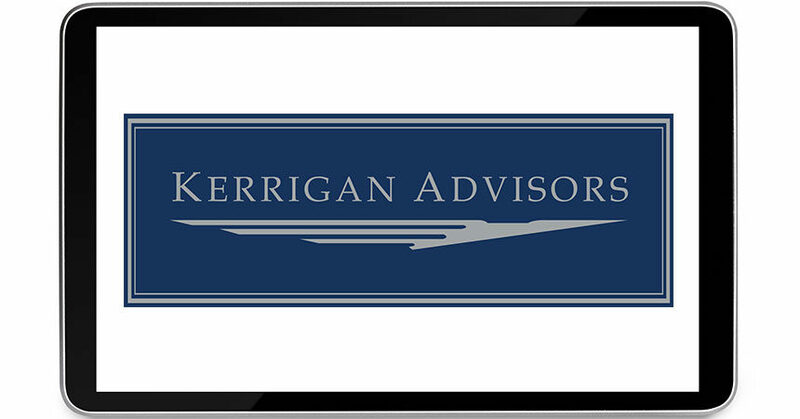 Kerrigan Advisors monitors conditions in the buy/sell market and publishes an in-depth analysis each quarter in The Blue Sky Report® which includes Kerrigan Advisors’ signature blue sky charts, multiples, and analysis for each franchise in the luxury and non-luxury segments. To download the report, click here. The company also releases monthly The Kerrigan Index™ composed of the seven publicly traded auto retail companies with operations focused on the US market. The Kerrigan Auto Retail Index is designed to track dealership valuation trends, while also providing key insights into factors influencing auto retail. To access The Kerrigan Index™, click here. Erin Kerrigan is Founder and Managing Director of Kerrigan Advisors, and is a recognized industry expert on dealership valuation, real estate and buy/sells. A sought-after commentator on automotive retailing topics ranging from consumer auto buying trends to auto retail consolidation to private equity in auto retail, she has keynoted numerous automotive conferences and her analysis has appeared in publications such as Automotive News, CNBC.com, and the Wall Street Journal. For a recent video of Erin’s commentary on the market, click here. Kerrigan Advisors is the leading dealership buy/sell advisory firm focused on providing a high level of client service for dealership sellers nationwide. Led by a team of veteran advisors, Kerrigan Advisors customizes each sale process to maximize the seller’s transaction proceeds. The firm has sold 72 dealerships since 2015, including five of the Top 100 Dealership Groups in the U.S. With the most comprehensive buyer database in the industry, Kerrigan Advisors has the industry context and expertise to match every seller with the right buyer. In addition to Kerrigan Advisors’ sell-side transaction work, the firm also provides a suite of consulting services including accounting preparation for sale, litigation support, open point applications and transactional due diligence. In addition to the monthly Kerrigan Auto Retail Index, each quarter, Kerrigan Advisors publishes The Blue Sky Report®, a Kerrigan Quarterly, which is the auto industry’s most comprehensive and authoritative quarterly report and analysis of dealership buy/sell activity and franchise values. Kerrigan Advisors’ Managing Director, Erin Kerrigan, is a recognized industry expert on dealership valuation, real estate, and buy/sells, and is a frequent speaker at leading auto retail events and conferences, including NADA, JD Power Automotive Roundtable, AICPA, NADC, and Driving Sales’ President’s Club. She has also been a keynote speaker for events hosted by American Honda Motor Company, Audi of America, US Trust, Ohio Automobile Dealer Association, and SunTrust Bank and has led webinars for NADA and Automotive News. Kerrigan Advisors’ Managing Director Ryan Kerrigan is also a sought-after industry expert. He is featured in a monthly column for Dealer Magazine and has written Op-Eds for Automotive News, among other outlets.